Some popular recalled varieties like Safeway Kitchens, Signature Kitchens, Trader Joe’s brand, Pantry Essentials, and O Organics. If you’ve purchased frozen fruits and vegetables from basically any major grocery chain in the past two years, you’ll want to sit down for this one. CRF Frozen Foods, a food packaging company in Pasco, WA, has recently expanded its voluntary recall to include nearly 360 varieties of frozen fruits and vegetables. The reason: the Centers for Disease Control and Prevention (CDC) recently announced an outbreak of the Listeria monocytogenes bacteria, which has hospitalized eight people across three states: Maryland, Washington, and California. CRF Frozen Foods packages brands that are sold at popular grocery stores in all 50 US states and parts of Canada. The recall also encompasses both organic and non-organic varieties of fruits and vegetables. Click here for a full list of recalled brands and products. You’ll recognize some of the brands on the recall list, which includes popular varieties like Safeway Kitchens, Signature Kitchens, Trader Joe’s brand, Pantry Essentials, and O Organics. As of April 25, 2016, CRF has suspended operations at its Pasco facility, pending a thorough safety review. Listeria is transmitted to humans through the consumption of contaminated food, which is why this frozen food recall is so huge. When the CDC announced the outbreak, the Ohio Agriculture Department was testing packages of frozen vegetables as part of its routine product-sampling program. The department found listeria that was genetically related to the strains in ill patients, which gave the CDC a concrete link to CRF. How does listeria affect humans? Listeria leads to listeriosis, a serious infection that can be deadly for pregnant women, newborns, older adults, and adults with weakened immune systems. Its symptoms include fever, muscle aches, and sometimes diarrhea. When the bacteria spreads beyond the gastrointestinal tract, symptoms can include a headache, stiff neck, loss of balance, and convulsions. Listeriosis is particularly dangerous for pregnant women, as it can lead to “miscarriage, stillbirth, premature delivery, or life-threatening infection of the newborn,” the CDC reports. 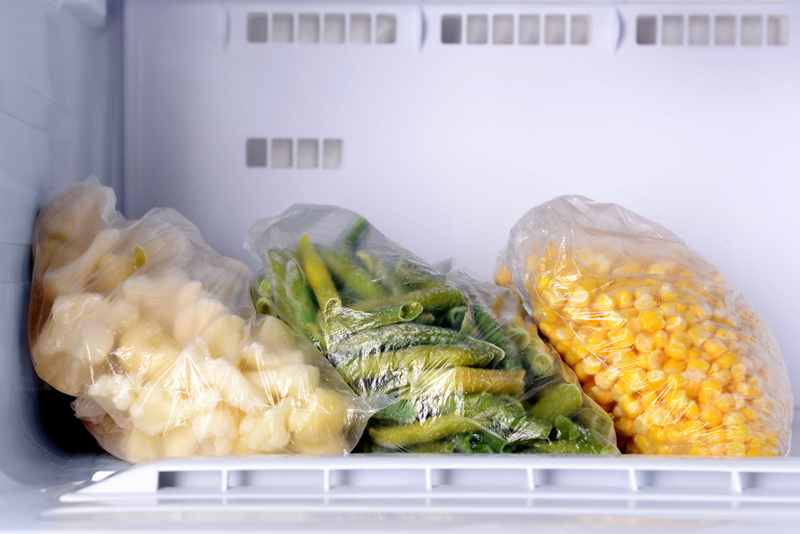 If you really don’t want to throw out your frozen food, note that listeria can be killed by heating foods at temperatures higher than 165 degrees Fahrenheit. Since water boils at 212 degrees Fahrenheit, you can dunk your foods for a while on high, or consider roasting, baking, or grilling. And if you really don’t want to deal with food recalls in general, consider the alternatives to purchasing store-bought foods: sustainable home gardening and aquaponics. Vegetables like lettuce, tomatoes, snap peas, squash, and potatoes are hardy and forgiving to even the most novice home gardener, and herbs like basil and cilantro can grow in almost any climate. Even if you don’t want to grow every fruit and vegetable on your own, a small home garden that features some basics — like cucumbers or carrots — can go a long way. Do you have a home garden? What do you think about this frozen food recall? Let us know in the comments! On Monday, the Quaker Oats Co. announced a voluntary recall of a quantity of Quaker Quinoa Granola bars. An ingredient supplier was found to have distributed sunflower kernels that may be contaminated with Listeria monocytogenes, the same bacteria found in frozen fruits and vegetables from CRF Frozen Foods. Follow this page for updates as the story develops. "Listeria leads to listeriosis, a serious infection that can be deadly for pregnant women, newborns, older adults, and adults with weakened immune systems. "